Confronted with a task? Not sure where to start? 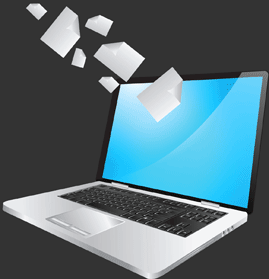 Our Business Letter format samples will help! Our Sample Letters section provides standard templates that clearly show the proper business letter format and wording that will convey that professional image that you are looking for. You can easily change the wording on the business letter samples to suit your needs quickly, simply and easily. You will find business letter format samples covering many different subjects and topics that are suitable for both use in the office and at home. Many companies use standard letters that are designed according to an official business letter format - most have been developed over the years to suit their company. But what if you're a 'one man band' working from home or a friend of someone who has asked for a character reference? If you need to write a letter, want it to look professional and need the correct wording and format then our business letter format samples is the place for you! Click the Sample Letters link now! Business Letter Format Samples - Cover letters, Application letters etc. etc. 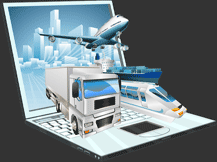 The internet has changed our lives - many of us now work from home and most of us regularly order items online. What about that letter of complaint you need to write, but keep putting off? And how do you format a Bill of Sale? What is the business letter format and wording for a cover letter? And how do you write an application letter for a new job - what is the correct wording and what is the correct business letter format? Our business letter format samples with the proper wording will definitely help you in business or at home! Free Business Letter Format Samples - Videos Help! Whether you need to find a formal business letter format or need a more informal and friendly approach you will find exactly what you are looking for. We have even added videos to take you through the letter writing process using this quick, easy approach - the short cut to writing a polite, professional letter using the proper business letter format. The examples and templates go on and on but our free personal and business letter format samples and templates provide you with a solution to all of your letter writing needs. Polite, Professional in the Proper Format for business! A Great selection of business letter format samples! Examples of Cover letters for your C.V. There are even examples of a Letter to Santa! Business Letter Format Samples - Wording of Popular Letters! Business Letter Format Samples - Wording of Common Letters! The formatting and wording of business Reference letters can take up valuable time but our examples and samples make this a simple and fast task to complete. The wording for recommendation letters is always handy in the workplace as is the official wording of employment verification letters. A professional format and wording for application letters is essential to help you to get the job you want. Business Letter Format Samples - Wording of Difficult Letters! The format and wording for donation letters can be tricky but our example will provide the inspiration that you are looking for. Apology letters are a nightmare but our examples of wording for personal apology letters or customer apology letters make these difficult tasks much easier. 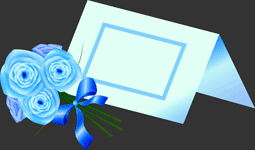 Condolence letters are one of the most difficult to write, but your effort will be appreciated. To complement our selection of business letter format samples we have also included examples on how to write standard Business documents including professional Report Writing. 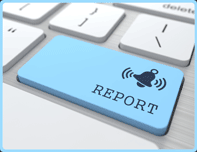 Our unique guide to report writing will enable you to write a highly effective report using our business report format with professional layout and wording. The simple guide to reporting writing will help you write a report for school, college or business. Learn the standard report structure by following our simple guide to enable you to write a really good report that will look highly professional. The easy guide is presented as a simple guide and covers all elements of report writing including layout and wording. Learn the standard format and layout for the Heading Page, the Contents Page, Executive Summary, Background / Introduction, Method, Results, Observations, Recommendations and Conclusions. There are also helpful tips on the tools you can use and how to format the Numbering sections of Reports and the Appendix. The unique guide to report writing for business will guide you through the report structure and layout enabling you to produce a professional business report that is suitable for work, school or college. A great addition to our Business Letter Format Samples. Our visitors have also found that the wording for a thank you letter is very useful. The car bill of sale is one of those examples that sometimes you need in a hurry. The memo example is also very popular, it gives you confidence that the wording of your memo reflects the standard format used in business and in most companies. The creative names for teams provides inspiration for people working on different projects who need some inspiration for their teams names. Good ideas to add to our Business Letter Format Samples. 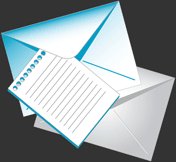 Our business letter format website also has a section on Invitations for special occasions. Creating a formal or professional business letter can be tricky but the wording for invitations are even more difficult as they are subject to the proper etiquette relating to the format and wording of invitations. So if you need some ideas and samples on writing invitations or require a free template just look at our section containing ideas for free DIY samples for home made invitations. This section covers the etiquette, format and layout templates with the appropriate wording and samples of all different types of invitations. There are free samples of the proper etiquette, proper format and proper wording for important events such as the standard and official wording, samples and format to use for wedding invitations, baby shower invitations, party invitations, anniversary invitations and samples of 30th, 40th, 50th, 60th birthday invitations, bridal shower invitations, dinner party invitations, samples of post reception invitations and samples of Christmas and New Year party invitations. A great addition to our Business Letter Format Samples. Send out DIY invitations to your family and friends, a personal touch is always really appreciated, they are cheap to make and our samples of the proper wording ensure that you don't leave out any important details. A great addition to Business Letter Format Samples. Business Letter Format Samples also provide a comprehensive guide to writing vision and Mission Statements for business with samples and examples of the correct format and wording - complete with videos and samples! A professional business has a Mission Statement. Learn how to write short, clear, vivid, inspiring and concise Vision and Mission Statement samples for business using the correct format and wording. Business Letter Format Samples provides and easy guide and standard templates that clearly show the professional business letter format and proper wording that will convey that professional image that you are looking for. You can easily change the wording on the samples to suit your needs quickly, simply and easily. Produce a business letter that is unique, not just a box standard unfriendly format and convey a highly professional image. Samples Help! Polite, Professional in the Proper Business Format!